These are portable, battery powered units for use in a variety of broadcast applications including location reporting as well as both location and studio cueing and talkback systems. All units use low-power circuitry for headphone amplifiers, and in the case of the four-wire and IFB models microphone amplifiers suitable for dynamic microphones. Both a headphone amplifier, with a loudspeaker muted by the headphone jack, and headset communication units are offered. The belt-packs have line level connectors on the lower surface, with headphone/headset connections on the upper surface, together with controls. A battery holder on one side has a drawer for a single PP9 battery. 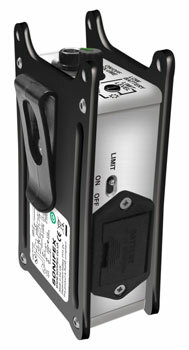 A low-battery warning LED flashes when the 9V battery has depleted to 6V, giving 'plenty of notice to swap the battery'. There are holes provide for lanyards or fixings and a belt-clip on the rear. Block diagrams are printed, helpfully, on the rear. The CM-BHA is for use in 'live applications such as in-the-field news reports'. 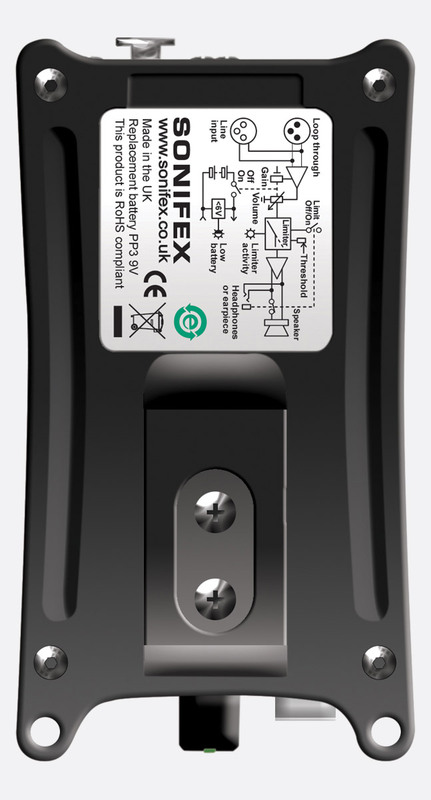 It has a 'wide signal range capability', applying gain of up to +20dB to the incoming signal. The volume control 'simultaneously modifies the output volume and the input gain', allowing input signals in excess of +24dBu to be 'reproduced without distortion'. There is an adjustable limiter to 'protect the listener from excessive levels', indicated by a blue LED. The limiter is only enabled when an earpiece or headphones are used, and when it is activated by a toggle switch on the side of the case. It is disabled when no jack is inserted, allowing a higher volume to be passed to the speaker for 'squawk mode' use. The low power circuitry gives up to 200 hours use from a single alkaline 9V PP3 battery. Input: +28dBu maximum, 200k ohms, electronically balanced. Input limiter threshold: -14dBu to 0dBu, adjustable, Input gain/volume: -70dB to +20dB, adjustable. Response: 20Hz to 20kHz, +/-0.5, 0dBu, 1kHz. Noise: -75dBu, A-weighted, at 0dB gain. Distortion: 0.015%, with +8dBu input, 0dB gain,10k ohms load. 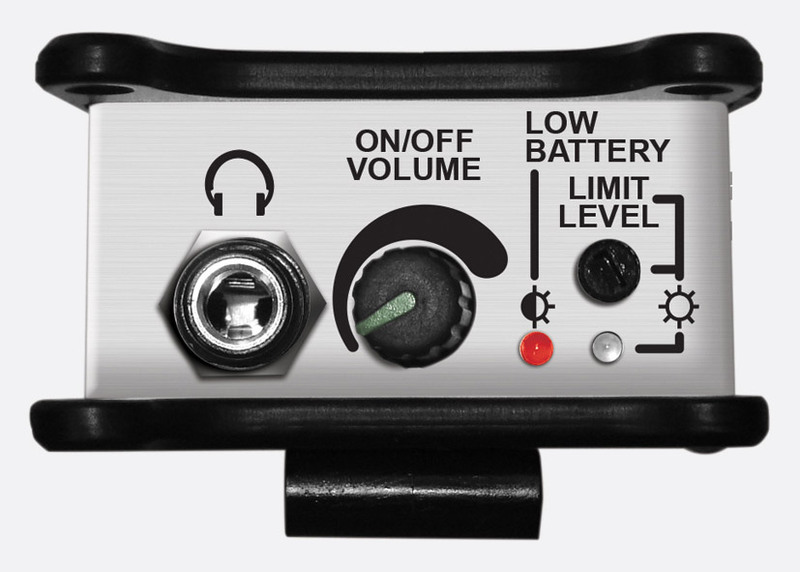 Output: +16dBu / +12dBu maximum, with 9V / 6V battery voltage, 1% THD, 2k ohms load. Minimum headphone impedance: 32 ohms. Maximum speaker level: +12dBu / +6dBu, 9V / 6V battery voltage, 1% THD. Dimensions: 125 (W) x 67 (D) x 48 (w x d x h)mm. Weight: 0.3kg. A 'four-wire' communication unit for use 'in a multitude of TV and radio broadcasting applications', including talkback / cue, IFB and commentary, the CM-BH4W uses audio transformers at its input and output, providing galvanic isolation from outside interference, ensuring communications are 'loud and clear, every time'. 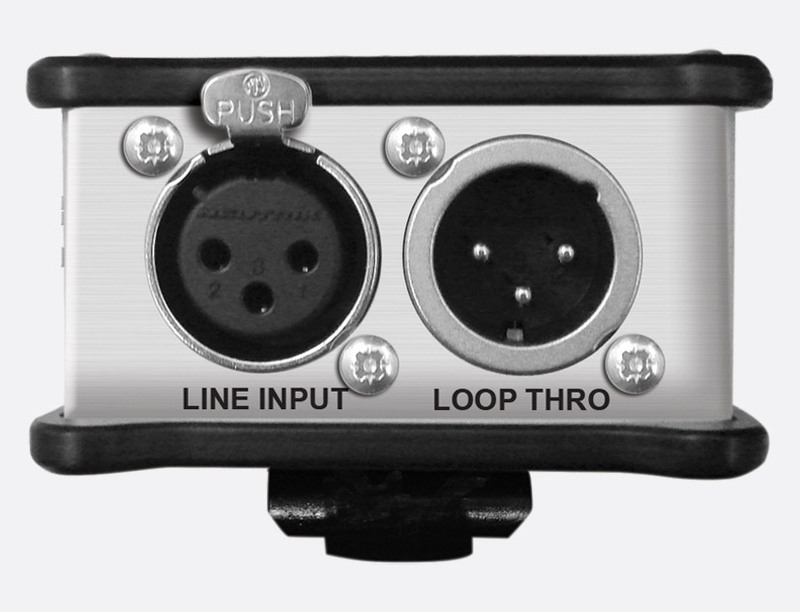 It has a 3-pole, 6.35mm jack socket for connecting a headset and female and male, 3-pin, XLR connectors for line-level input and output, respectively. There is a rotary, combined, on/off and volume control and a press-to-talk button. A switch on the side selects IFB or four-wire mode. In four-wire mode, the unit acts as a two-way intercom, with input audio routed to the headset earpiece, and microphone audio is routed to the output upon pressing the talk button. The output level is maintained at +2dBu peak level by a built-in AGC. In IFB mode, the input audio is routed to the output, and is interrupted by the microphone signal when the talk switch is pressed. The talk switch can easily be converted from momentary to latching operation to suit your application. The CM-BH4W automatically switches off when the headset jack is removed, and single alkaline 9V PP3 battery gives up to 150 hours use. Microphone input: 1.5k ohms, unbalanced, for 200 ohm dynamic microphone. Limiter input threshold: -60dBu. Line output level: +2dBu. Line output impedance: 150ohms, transformer balanced. Line input: +24dBu, maximum, 10k ohms, transformer balanced. Input gain/volume: Off to +10dB, adjustable. Headphone output: +7dBu maximum, 9V battery voltage, 1% THD, 100 ohm load. Headphones: 100 ohms minimum impedance. Dimensions: 125 x 67 x 48 (w x d x h)mm. Weight: 0.3kg. 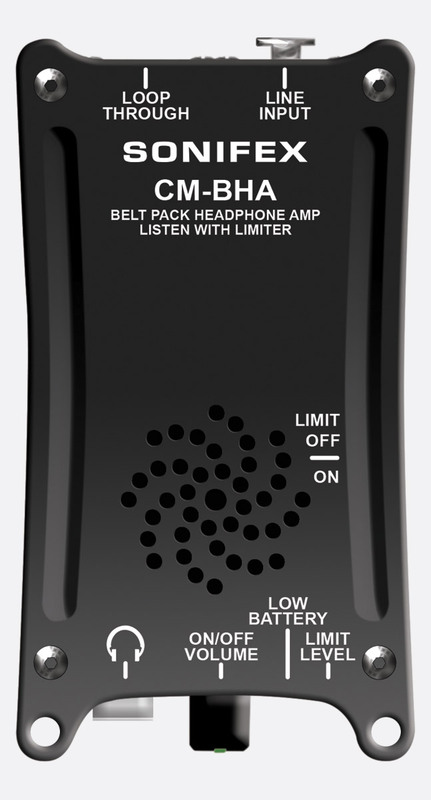 The CM-BH4WX is a version of the CM-BH4W with a 4-pin, male XLR, balanced headset connection instead of a stereo jack connector. In all other respects it is the same as the CM-BH4W.